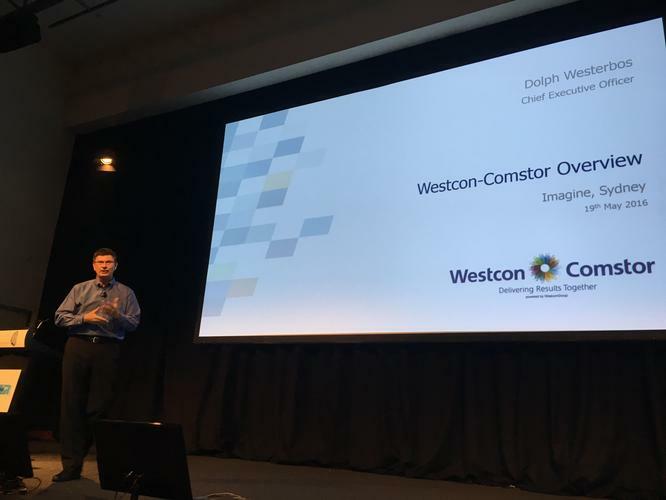 “We’re certainly not the largest distributor in the world,” said Westcon Group, CEO, Dolph Westerbos, in opening Imagine 2016 in Sydney. But as the global CEO outlined to local channel partners, such a standing within the market is by design, as the distributor deepens its channel play across Australia. “It’s a natural consequence of our strategy to focus on specific technologies and leading vendors and technology providers,” he said. “We’re going deeper into the marketplace, deeper into our customer base and providing services around this as a result." Backing up the strategy with local financials, Westerbos said the distributor posted $385 million in revenue during the past year in Australia, presenting local growth of 15 percent in a market of “little or no organic growth”. Westerbos said the distributor’s core channel is primarily made up of resellers (68 percent), systems integrators (19 percent) and service providers (13 percent), with a core technology focus on security (40 percent), data centre (15 percent), networking (21 percent) and unified communications and collaboration (24 percent). On the topic of Cloud, Westerbos remained clear to the channel, outlining the distributor’s strategy around helping partners take organisations to the skies in Australia. “Australia, along with New Zealand, leads the world for Cloud from our perspective,” he said. “We’re now billing over a quarter of a million dollars per month in Cloud revenue in this market alone, and it’s proving a successful model. As such, Westcon-Comstor has invested in BlueSky, to build out the distributor’s Cloud capabilities to better utilise the capabilities of local resellers and solution providers. “We acquired BlueSky because it’s crucial to own the Intellectual Property rather than simply licence a solution because this space is so dynamic,” he explained. “The world around us is changing and although we’ve made our success in the traditional space, our new focus is around Cloud, services and digital. In asking the question, how do we keep the channel at the centre of this change?, Westerbos said the distributor has made strategic investments to ensure this remains the case both locally and globally, providing richer servicing capabilities for resellers and solution providers in this new digital supply chain. “We recognise that allowing partners to add services and value to customers is essential to remain relevant,” he added. According to Westerbos, the new-look Westcon-Comstor can support its global vendor base and partners with a strengthened distribution backbone, based around the white labelling of new market services. “We’re not trying to get into the services market and take business away from our partners, but we are enabling our channel to benefit from these capabilities,” he said. “We’ve also made significant investments in our financial solutions in a Cloud context. In the past it was relatively easy to finance hardware solutions, but in a digital world you don’t buy the datacentre, you buy the service level. But to achieve such relevancy in a competitive market, Westerbos acknowledged that channel change can only be enabled through the building of strong market foundations in Australia. “This is our housekeeping work because if you want to really invest in customer capabilities and digital technologies, you need to have a base to operate this from,” he said. In 2016 and beyond however, Westerbos said this approach to market has now changed, coupled with the local development of the distributor’s SAP rollout. Despite acknowledging early teething issues, Westerbos said the rollout now allows Westcon-Comstor to scale both locally and globally, offering the opportunity to bolster investment around services and Cloud. Globally speaking, Westerbos said the distributor reported $US6.5 billion revenue during the past year, operating across 70 countries with key customers including Telstra and Fujitsu. “We want to be a lot bigger than this, but we won’t get there through just people power which means we need to invest in our digital capabilities and our channel,” he added. Drawing on 10 global support centres, the distributor currently has 2,416 technology certifications to its name, backed up by 393 technical engineers and 80 training rooms across the world.